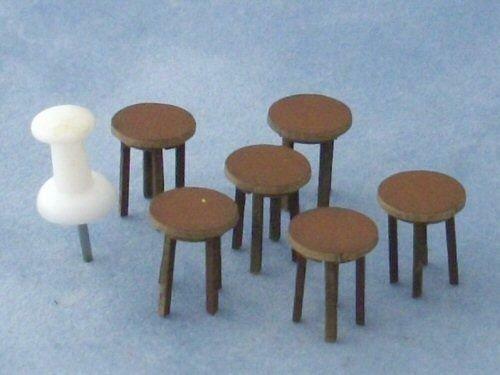 Miniature kit for four tall stools. 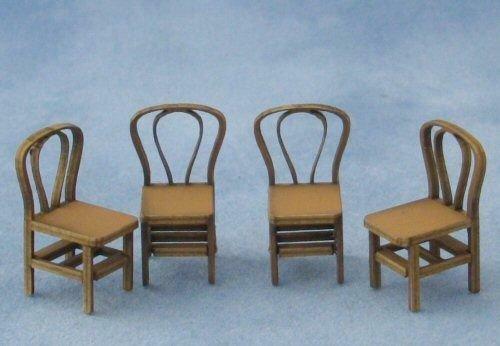 Could be used in the dolls house or in a miniature or pub. 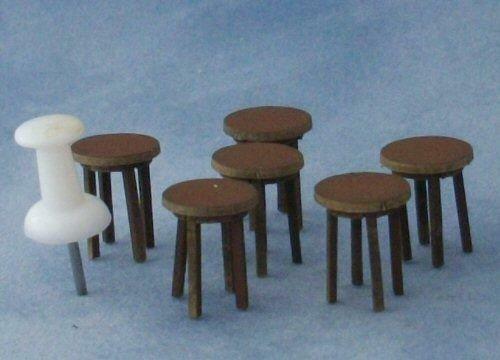 Kit is made from card and pre painted a lighter brown than shown in the picture. 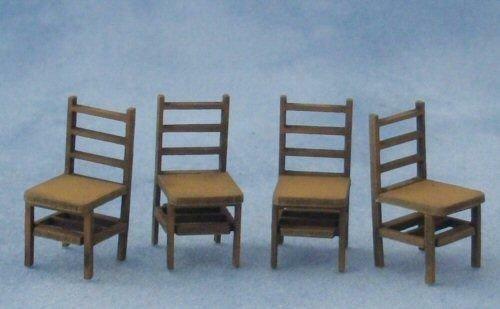 Kit can be left as it is or you can paint to suit your requirements. 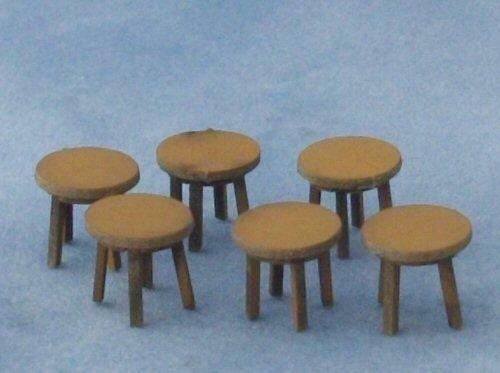 Each stool measures 9mm wide x 13mm tall.